In a joint press release today, Hulu and Spotify announced they would be offering a package deal: services from both companies for just $13 a month. It’s an admittedly pretty solid deal, but you’re going to have to suffer through commercials on your rewatch of the Handmaid’s Tale if you want to take advantage of it. The offer is pretty swanky if you already subscribe to Spotify’s $10 premium plan. For $3 more a month, you get Hulu’s “limited commercial” plan that normally retails for $8 a month. That means all of Hulu’s original content, as well as its streaming library, which includes episodes of most of the major TV shows from most of the major channels just a day after airing. To sweeten the deal, the two companies are only going to charge $1 a month for the Hulu access for the first three months you subscribe to both together. That’s choice! Less choice is if you’re already subscribing to Hulu’s $8 “limited commercial” plan as you’ll now have to fork over an additional $5 for Spotify, and there’s no $1 special for current subscribers looking to listen to more tunes. There also appears to be no sweet Spotify deal if you’re using one of Hulu’s pricier plans, like the $12 commercial-free plan or the $40 Hulu with Live TV plan. In fact really this deal seems to be Hulu’s way of luring Spotify’s nearly 71 million active subscribers onto its solid cord cutting service. By comparison, Hulu has just 17 million subscribers. 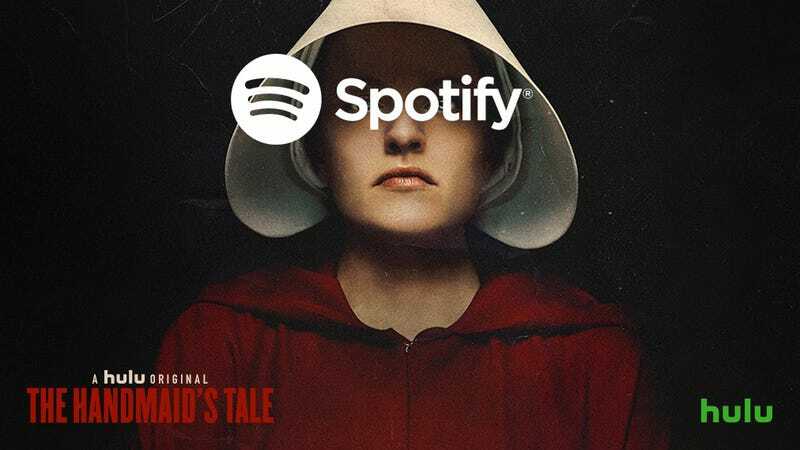 If even a fraction of Spotify’s user-base took advantage of the deal, Hulu’s subscription numbers could dramatically improve. For more details about the subscription—which is a good one if you’re on Spotify and not Hulu—you can go to this page on Spotify’s website. If your friends haven’t shut up about Handmaid’s Tale or Runaways, maybe now’s a good chance to check out what they’ve been talking about.